In this section of the exercises, we now turn our attention to analog--analog output in particular. This will also include learning how to do some audio-based things as well. 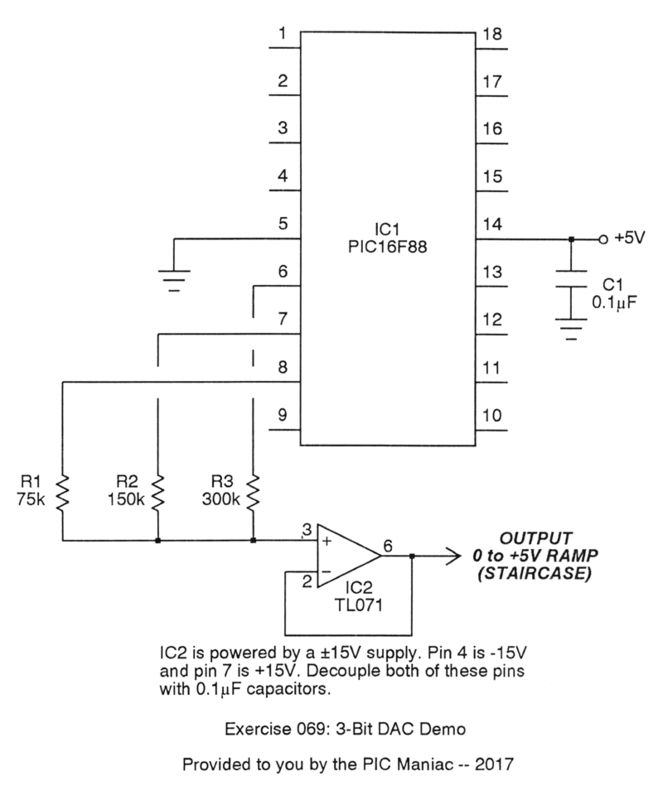 You'll note that the resistors follow a doubling progression. Because each is twice as large as the previous, there are definite limits in how easily this can be extended to more bits. 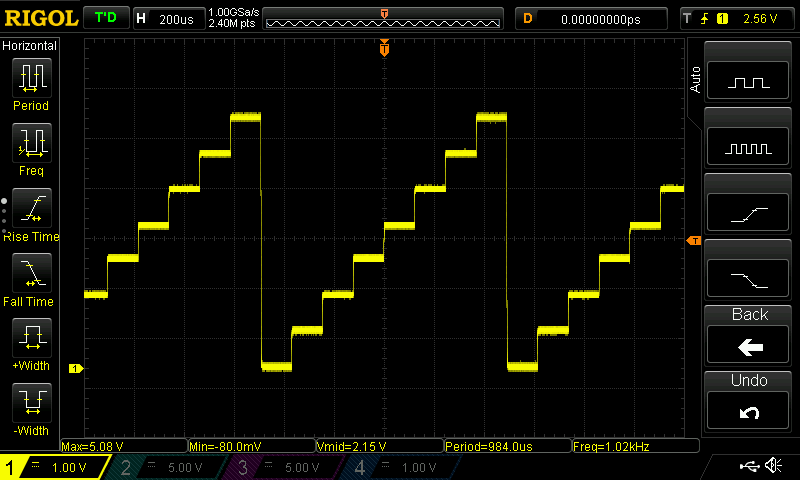 However, three-bits works out just fine with standard 5% resistor values. The PMP software is ingenuous and straightforward. The waveform created by it in this demo is just a staircase, with eight steps. But obviously, other patterns are possible through software manipulation. 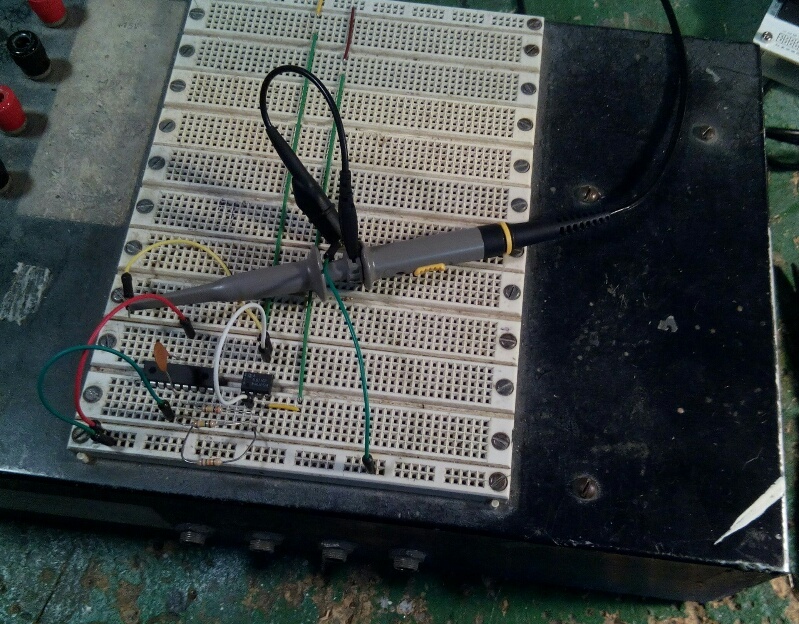 You'll note that the waveform has an amplitude of about 5V, and a frequency of about 1 kHz. 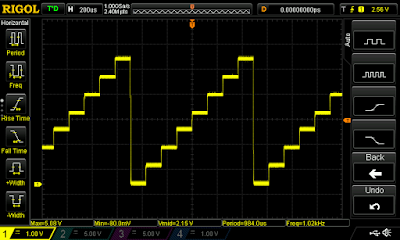 If you'd like to change the frequency, look for the Pascal delay() command in the main loop.